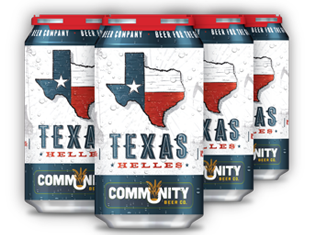 In this week’s episode, the Six Pack Team cracked open a pack of Texas Helles by Community Beer Company in Dallas, Texas. Boy, oh boy! This beer was an interesting experience. Having had several brews from Community Beer Company, and a few on the show, in the past we had high hopes for this one, but it proved to be quite the let down. With our recent focus on lagers as they seem to be getting more exposure in the craft beer community, we were eager to try this style on the show and despite the claim that this brew has sweet notes and a clean taste, we weren’t picking up on any of that and ended up just cracking open a bottle of wine after the rating was over.